October 23, 2018, 3:30 p.m.
Californians are more likely to say that they prefer plant-based milks and organic food, and also more likely to say that they believe they eat healthier than most people, according to new data from YouGov Omnibus. When asked about their preferred types of milk, “dairy milk” was the most popular answer by far with 64% of the general population, and 53% of California residents saying this was their preference. 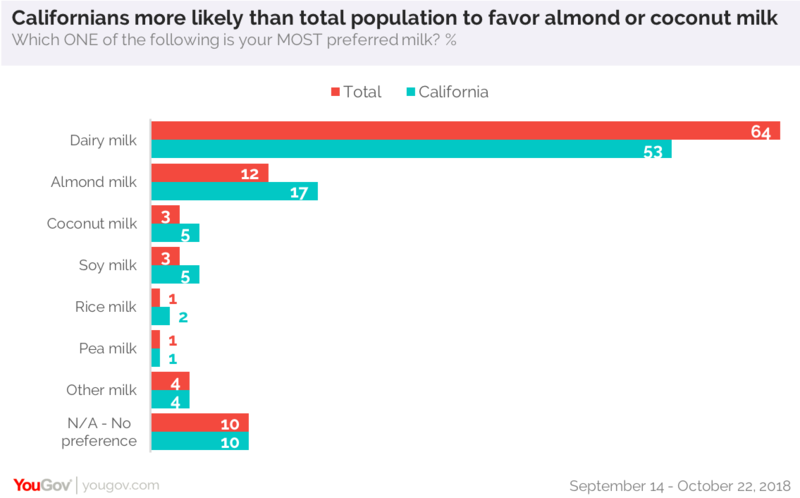 But about one-quarter (24%) of the total population and 35% of Californians chose another option such as almond milk, coconut milk, pea milk, soy milk, rice milk or oat milk. One-tenth (10%) of both groups had no preferred milk. Californians were more likely than the general population to agree with the statement, “I prefer eating organic foods.” Four in ten (41%) of California residents agreed with this statement, compared with 32% of the total population. 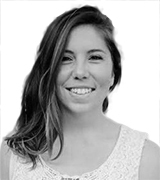 In both groups, 18-34-year-olds were especially likely to agree with this statement: 38% in the total population and 46% in the California-only group. People in California (41%) are also particularly likely to agree with the statement “I probably eat more healthily than most people.” More than one-third (35%) of the total population agreed. The total population (17%) is about as likely as Californians (19%) to say that they try to avoid eating gluten. Americans who live in the Northeast (21%) and the South (20%) are more likely than those in the West (12%) – which includes California as well as several other states – to say they prefer eating gluten-free. See full results for the total population and for California.